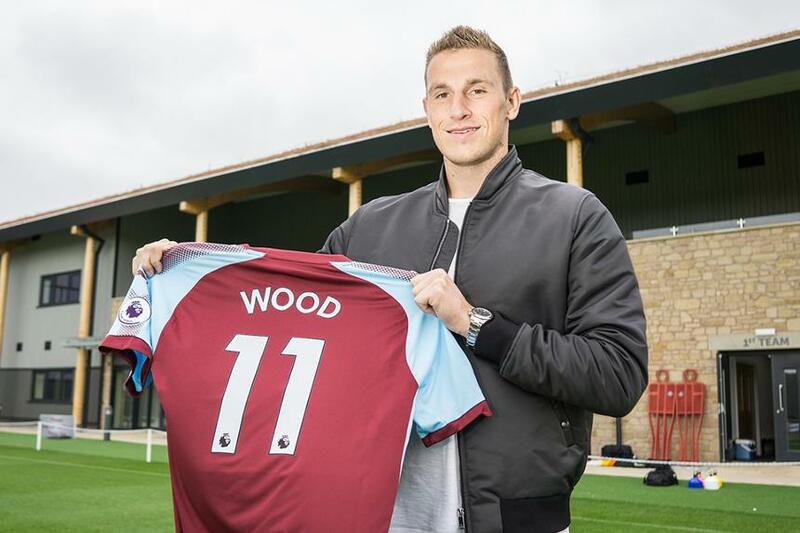 Fantasy Premier League managers have been handed a new forward option tahnks to Burnley's signing of Chris Wood. The striker signed from Leeds United for a club-record fee has been handed an FPL price tag of £6.5m price tag. He has recorded 40 goals and eight assists in 80 Championship matches across the last two campaigns and was last season's leading scorer in the division with 27 goals. Wood arrives to compete with Sam Vokes (£6.0m) for a starting role, with manager Sean Dyche deploying a lone striker up to this point. Vokes scored two goals in the Gameweek 1 victory at Chelsea. Dyche could now revert to a 4-4-2, a system he used for the final months of 2016/17. Brighton & Hove Albion's record signing, Jose Izquierdo, has also landed in the game, as a £6.0m midfielder. The 25-year-old arrives at the Amex Stadium having scored 14 goals in 28 appearances for Belgian side Club Brugge last season. Izquierdo will add pace and a goal threat to manager Chris Hughton's 4-4-1-1 formation, probably on the left, drifting inside to threaten with his preferred right foot. Absent from the squad for the Carabao Cup tie with Barnet, Izquierdo could earn a debut at Watford in Gameweek 3. However, FPL managers should perhaps show caution. Izquierdo is likely to be called up for Colombia's World Cup qualifiers in Venezuela and at home against Brazil, prior to the Gameweek 4 home encounter with West Bromwich Albion.